Shop Walgreens Banana (1 ea. )1 ea. 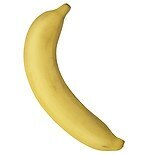 Walgreens.com has a wide range of bananas from a single banana to a group of four that can be shipped to your door or bought in-store.